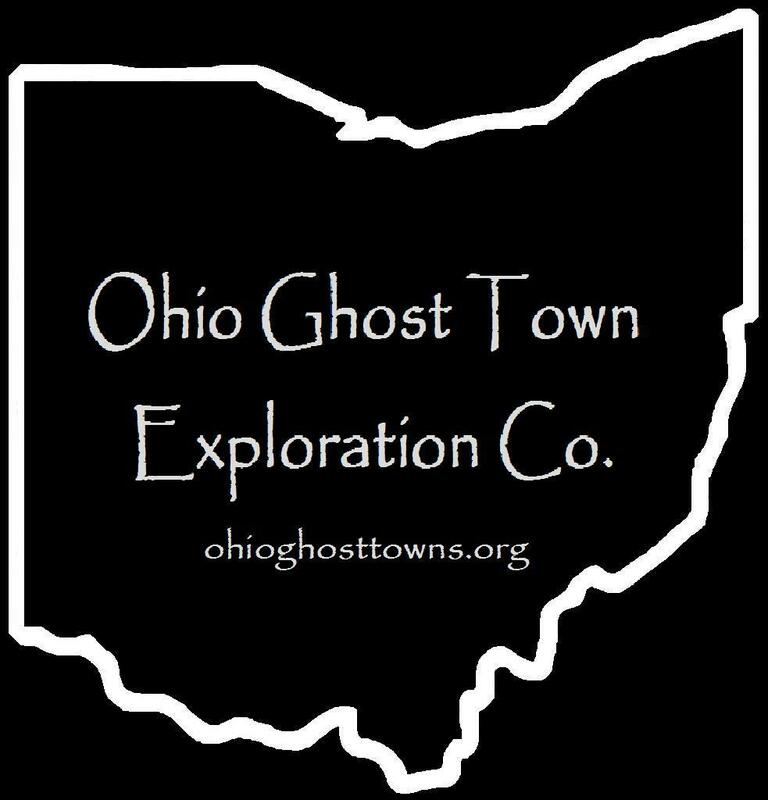 Madison County – Ohio Ghost Town Exploration Co.
Group member Ashley Murray published a book on her hometown, West Jefferson in Madison County. It’s currently #1 on our Top 10 Small Towns list, contains a ghost town, & hosts the annual Ox Roast with 5,000 pounds of round roast cooked in a 140 feet long pit! Description: John P. Carter moved to the township with family members in 1866. He owned & operated the grist & saw mills built by Isaac Fuller. Description: The old town is long gone but the current neighborhood of Darby Crest Estates hangs onto the name. Description: Deer Creek Village was a native Shawnee town founded in 1794 by Tecumseh, mostly used for riding out winters. Description: It was listed in the Ohio Gazeteer And Traveler’s Guide from 1833 – 1841. Description: The town was founded by William Johnston (1781 – 1866) & Margaret (McClimans) Johnston (1784 – 1862 who moved to Ohio from Pennsylvania around 1805, residing in Ross County for a while & settled in Madison County in 1813. They had 8 children & a large farm. William & Margaret were buried with relatives in Johnston – McClimans Cemetery. Description: This small farming town had a school. Jonathan Markley (1780 – 1849) & Rachel Markley (1794 – 1820) moved to Ohio from Maryland & had 3 children. Jonathan married Mary Jane (Cryder) Markley (1800 – 1849) after Rachel passed away & had another child. They were buried with relatives in Somerford Township Cemetery on SR 56 (W Urbana – Loudon Rd). Daniel Lucy (1864 – 1923) was the proprietor of the Diamond Rock Stock Farm & raised hogs for market & built the German style bank barn in 1904. He was buried in Deer Creek Township Cemetery on US 40 in Lafayette. Description: It was on the Big Four Railroad. Description: The town was platted in 1822 with 93 lots on 8 streets by Samuel Sexton & Samuel Jones who came to Ohio from New Jersey. It had 2 stores, 3 taverns, & a Baptist church but just 7 families were living there at its peak. New Hampton was abandoned when the National Road (US 40) was built north of town & residents moved their houses & businesses to West Jefferson which was growing quickly. Samuel Jones & Samuel Sexton moved back to New Jersey after the town they founded failed. Description: Pleasant Township School No. 5 was in the corner lot on the south side of Robinson Rd at the GPS coordinates. The Robinsons were the largest family in the area during the late 1800s – early 1900s. Description: The original proprietors were Thomas Roberts (1775 – 1864) & Susan (Boisel) Roberts (1779 – 1864) who moved to Ohio from Virginia in the early 1800s, had several children, & accumulated much of the land on the west side of West Jefferson. A portion of it was donated for tracks for the Columbus & Xenia Railroad. The land was split up between the Roberts children & they continued the family’s success in the area. Sebastian Roberts (1814 – 1869) platted Pleasant Hill Cemetery in 1864. Thomas was the first interment & most of the family is buried there. Description: Wahoo was a small farming town with a school, post office, & church. Land was donated in 1858 for the non – denominational church by Mary A. (Dun) Thurman (1812 – 1891). The Duns were the biggest family in the area & did most of the church construction. Mary was buried with relatives in Green Lawn Cemetery in Columbus. Description: The town was founded by a branch of the Wilson family in the County. James Wilson (1808 – 1886) & Elanor (Smith) Wilson (1818 – 1904) had several children & a large farm. They were buried with relatives in Deer Creek Township Cemetery on US 40 in Lafayette. New Hampton was platted in 1822 by Samuel Sexton & Samuel Jones who were business men from New Jersey. It was a small town but had 8 streets, two general stores stores, three taverns, a Baptist church, & a post office from 1830 – 1833. The residents moved north to West Jefferson when the National Road (US 40) was built a few miles north of town in the 1830s. The cemetery & part of the main street are the only known remnants left. Ohio Historical Marker #2 – 49 at the front of New Hampton Cemetery on Frey Ave tells the story of New Hampton & Ludlow’s Rd, the first state road in Ohio which the town had was built on. Samuel Sexton & Samuel Jones moved back to New Jersey with their families when New Hampton was abandoned, unhappy that the town they founded no longer existed. Thanks to group member Ashley Murray, manager of Around West Jefferson Ohio, for providing the listing pic! West Jefferson rose out of the dust of a failed town & was once the most important business point in Madison County. Residents needed a commercial center in Jefferson Township closer to home than the 15 – 20 mile journey to Columbus, called Franklinton at the time. Samuel Jones & Samuel Sexton moved to the area from New Jersey & platted New Hampton on July 5, 1822 along Little Darby Creek & Ludlow’s Road, the first state road in Ohio. The town was laid out with 93 lots on 8 streets on the south side of Hampton Cemetery on Frey Ave in West Jefferson. It had two general stores, a post office, three taverns, a hotel, and a brick Baptist church at the cemetery. The lot for the cemetery was donated by Samuel Jones in 1823. His wife Elizabeth was the first burial there later that same year. Samuel Sexton’s wife Sarah & daughter Elizabeth followed in 1827. New Hampton unfortunately wasn’t growing fast enough in the late 1820s. New of the National Road, current day US 40, being constructed to the north spelled the end for the town. It was the first federally funded highway in the county, & when completed, connected Cumberland, Maryland to Vandalia, Illinois. Samuel Jones & Samuel Sexton moved back to New Jersey, leaving behind many departed family members & the dreams of creating a successful village. At least part of that same dream lived on through the efforts of a son & daughter-in-law of Samuel & Elizabeth Jones. Reverend Isaac Jones (1802 – 1842) & Eliza (Mills) Jones (1804 – 1877) inherited some of Isaac’s parents land along the National Road on November 17, 1830. They founded Jefferson & platted the town in September of 1831 with 64 lots. Its post office opened in 1833 but was called West Jefferson to avoid confusion with other towns in Ohio named Jefferson. By 1834 the town already had 700 citizens. Business boomed along the National Road & in West Jefferson in the 1840s & 1850s. Lumber mills & merchant shops fueled the local economy on top of farming & livestock raising. On the northwest side of town, War of 1812 veteran John Blair (1788 – 1870) from Virginia & Jency (Jennie Thompson) Blair settled in the township in 1843. They were married in 1814 while John was running a hat business in London, OH & had 7 children. Their oldest child, George W. Blair (1817 – 1886) married Rachel (Goodson) Blair (1820 – 1883). They had 10 children & lived on George’s parents old 300 acre farm. George & Rachel welcomed a Methodist congregation into their home for services for 9 years until donating land for a church & cemetery. Blair Chapel was constructed in 1853 with $700 in funds raised for the structure. The church has since been lost to time. On top of owning & operating the first steam thresher & reaping machine in the county, George managed construction of 3 miles of Blair Pike in 1868 – 1870. The road still bears the family name along with a branch of the Taylor family that later settled in the area. John, Jency, George & Rachel were buried with relatives in Blair Cemetery on Taylor Blair Rd. The road also had two steam saw mills & a water powered saw mill on Little Darby Creek in the mid to late 1800s. Back in town, West Jefferson was flourishing with a grist mill & pork packing industry. It had 5 hotels at its peak with passenger & goods stagecoaches lining the streets. Sebastian Roberts (1814 – 1869) & Tacy (Holt) Roberts (1821 – 1889) donated land for Pleasant Hill Cemetery on US 40 in 1864. Sebastian’s parents, Thomas & Susan, formerly owned most of the land on the west side of town & were the first burial there in 1864. A two – story high school was built in 1868 at a cost of $17,000 including the grounds & furniture. Everything was going great until the Little Miami River arrived in town. Railroads were usually a blessing for town in the mid to late 1800s, but it initially hurt businesses on the National Road & in West Jefferson. Goods shipped in on trains were cheaper than those made locally, but a wool mill & carriage factory kept the town going. In 1883 the town population was around 800 & there was only one hotel remaining. Residents adapted to the changing times though & business picked up again with the addition of the Murray Lumber Company in 1890. A town hall & an opera house that could entertain 600 residents were constructed in 1898 & a new high school was built in 1911 at the intersection of Frey Ave & Fellows Ave. The Pennsylvania Railroad bought out the Little Miami & raised the tracks through town in 1913 – 1914 to prevent traffic accidents. Its last passenger station is on N Walnut St south of the railroad underpass. The town population was 1,070 in 1915 with street lights & businesses illuminated by natural gas piped in from Columbus. A junior high school was later attached to the high school & both were demolished in 2007. Isaac & Eliza Jones were buried in Hampton Cemetery. West Jefferson’s current population is around 4,300. Since 1951, the town conducts an annual West Jefferson Ox Roast during Labor Day Weekend. 5,000 pounds of meat are lovingly prepared by volunteers & cooked in a 140 foot long, 4 feet wide by 4 feet deep pit. Streets are closed for a parade & they also run talent contests & other events. A market place is set up for craft & commercial vendors, & more food stands. Thanks to group member Ashley Murray, manager of Around West Jefferson Ohio, for providing the listing lead, pic, & some of the info on West Jefferson!